The thriving and ever-dynamic digital world is good news for businesses. It spells a lot of profit for them, and there are actually many businesses who are successful even without having a physical store. So, you can just imagine how successful your business could be if you have both the physical store and the online asset. Websites boost profits of businesses since people are now heavy internet users, searching for products and services online first before they even avail of them. Many businesses, regardless of what industry, actually use WordPress because of its reliability and convenience. Aside from the vast plugins, extensions, and add-ons available on WordPress to help businesses optimize their website, it also has a huge user base, making it easier for businesses to access a wider market online. WordPress also has many themes for different kinds of businesses, may it be a fashion-related business, restaurants, hotel, creative agency, or anything out there. To help you choose the right theme for you to boost your business’ profit and reach business goals, here are the best WordPress Business themes of 2017. 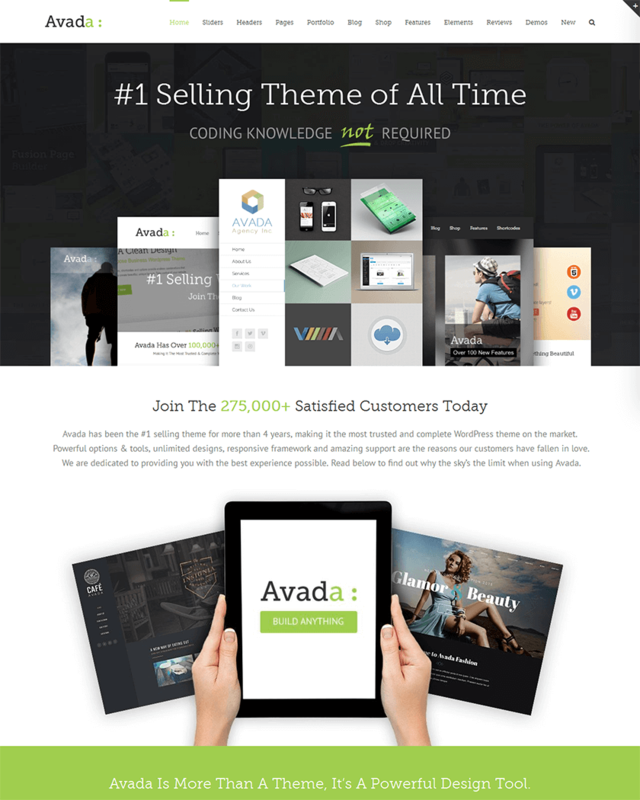 If you’re looking for a new-age biz theme, Avada is just the thing: the clean layout, catchy icons and speedy interface will set your business on the right track and make the content you share with others be more accessible. Enjoy the over 80 new features that come with the exclusive layout and see just how easy it is to build your website from the ground up. Expand functionality with each supported add-on and see for yourself what months of hard work can do to a theme. The speedy user interface and completely new layout make Avada your new favorite layout; enhance mobile visibility and set the defining screen size with centered logos. Column spacing can also be controlled, down to the exact pixel or % amount. Avada has everything you’ve been looking for in a theme: clean codebase, library section, history, nested columns and new header options. For those of you with a creative side, Jupiter is the place to start. Responsive, easy to customize and fast. Get to create sites the easiest way possible: drag & drop will introduce you to the fastest and lightest WP theme there is. The modular architecture and powerful memory management make Jupiter extremely fast and performing, reaching page speed up to 93%. You get over 100 templates of your choice and can customize each one, according to preference. The innovative admin panel presents a state of the art background customizer that’ll do wonders for any portfolio. Get tangled up in a dash of magic and experience unmatched performance powered by advanced memory management and shifting architecture. When in doubt, follow the mantra: explore, dream, create. Latest technology? Check. Custom menu? Check. Widgets? Double check. BizLand lets you tap into your creative side while at the same time staying true to your organizational skills. Being open to sitemaps, contact forms and sidebar-free pages, this layout is also WooCommerce ready and SEO optimized. Worried about customer engagement? Say no more: the featured posts slider will catch each reader’s attention and seal the deal every single time a prospect lands on your page. 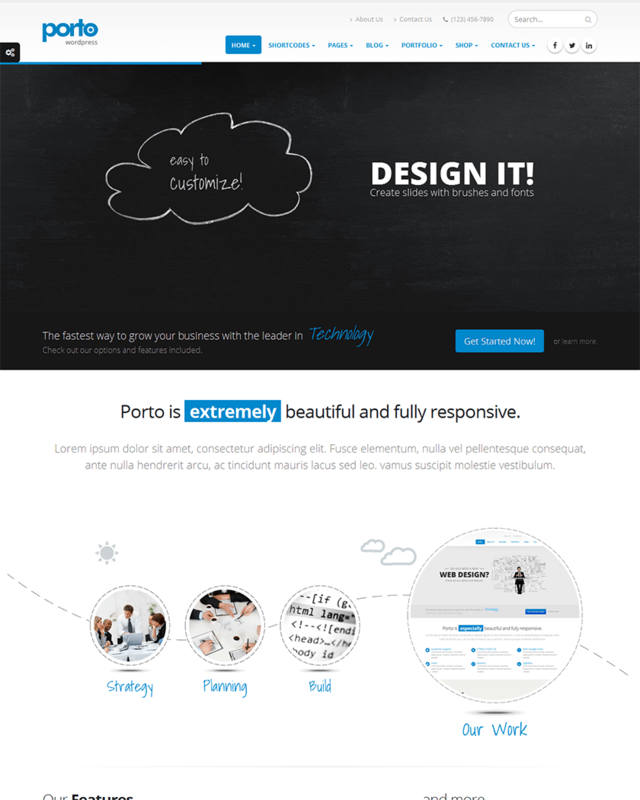 The theme is easy to use, manage and personalize. No need to edit the code; your site will basically sell itself. Get to enjoy custom menus, backgrounds and featured images, all mobile friendly and highly responsive. The theme is easy to edit, customize and features interactive characteristics for all those who enjoy a trip to the online store. Integral is all about minimalism. Just as the description states, Integral makes things easy: quick setup, clean-cut style and fuss-free layouts make Integral the ideal starting point for any business, be it startup or not. Promote your company with the easiest of setups; it takes minutes to create the website of your dreams! The theme includes theme options panels, it’s translations ready and easy to customize. Newsletters have a place of their own, not to mention contact forms. With the perfect synergy between theme aspect and the service that accompanies it, Integral guarantees satisfaction for even the most pretentious clients. The one-page design is just what you need to get things going at a faster pace, and the project showcase section lets your potential clients tap into potentially sought-after resources. Ready to stand out? Go Integral. In search of a multipurpose theme? You got it. Explore your creative side with 10 innovative page builder elements and have some fun with the animated accessories. Everything in this theme is highly responsive and completely upgraded, so fixing up your new webpage is an experience you’ll never get bored of, not to mention the bulletproof code that represents a challenge for even the most experienced hackers. Feel like a change? It only takes minutes to give your page a whole makeover, custom backgrounds included. The advanced admin panel takes you through an intuitive journey towards the finish line, and the retina-ready layout fits the device of your choice. Unicon’s clutter-free layout and complementary tones offer an easy-on-the-eye site, creative and content-ready. More than 10 new innovative page builder elements and over 300 icons are waiting to be a part of your online experience. Welcome to Uncode, the detail-oriented platform of your dreams. Whether it’s performance you’re looking for, enhanced creativity or clear design, Uncode is the place to be. You’re one click away from improving each concept, and one step farther from creating your own. The creative web builder will take you into a journey of self-discovery and the adaptive images will fit the device of your choice. Anything you can imagine can be created once you experience the pixel perfect design and 6+ menu style integrated in the layout. The attention to detail places it among the top 10 creative themes of all time, featuring 30+ concepts that can be imported with just one click. Key features include Woo Commerce, tailored composer, WPML certification, layerslider and custom ilightbox. The adaptive images adapt to each visitor’s screen size, re-scaling initial page versions. The name says it all: TheGem includes over 100 creative templates, SEO optimized, all set and ready to answer all of your creative demands. Multi-purpose schemes for creative and agencies alike, TheGem fits businesses of any sort. We know looks aren’t everything, so rest assured that’s the least of what’s in store for you: be ready to enjoy increased page speed, retina-ready responsive images, premium sliders, multiple plugins and unlimited support. The Gem’s overall aspect is playful, allowing each client to fully customize his dashboard according to preference. 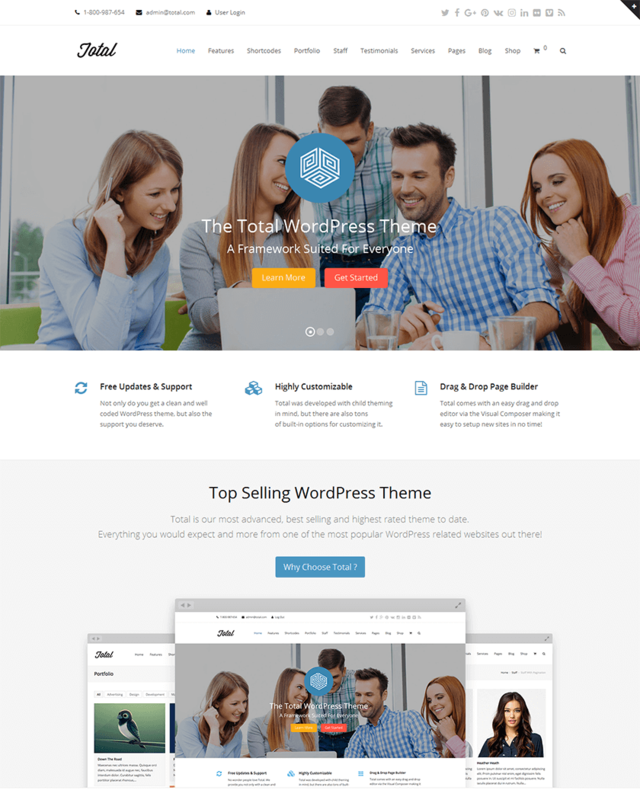 Get a hold of the versatile, highly responsive and professional theme that adapts to a multitude of creative uses and individual styles. Get creative and stay flexible with over 60 elements in more than 250 styles of your choice. The possibilities are endless. Definitely a place for professionals. Easy to use, customizable, even easier to edit. Commerce-ready, design-primed, design-set. The perfect place for the unpretentious, ready-for-action professionals on-the-go, BizCity is just that: a town for the chosen few. 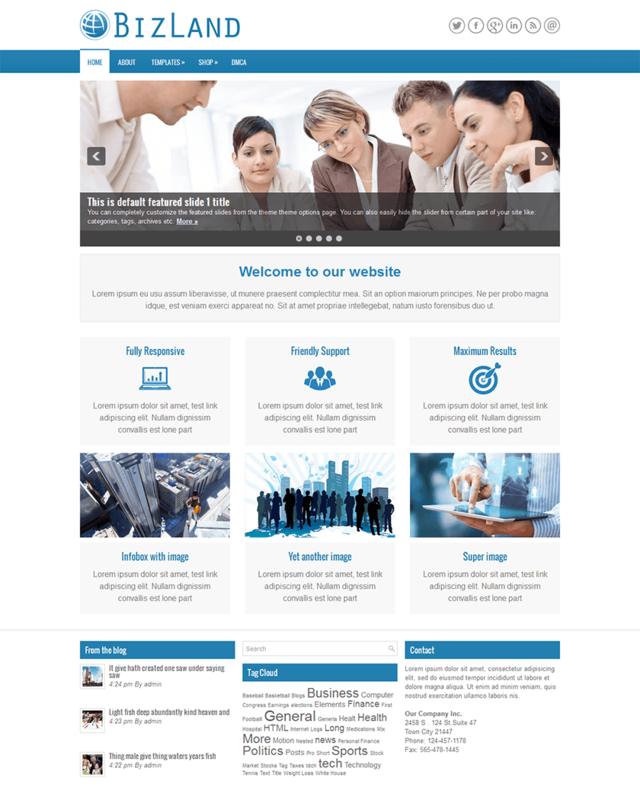 The basic package includes theme updates and bug fixes, support center access, SEO optimization, Contacts Page templates, organized coding capabilities and responsive design. It is also localization-ready and WordPress compatible, featuring posts sliders and WooCommerce integration. Custom widgets allow you to display adverts in an engaging manner, link them to your social media page/pages and display content from the site in the sidebar. BizCity has every capability, you could wish for and a clean-cut layout that draws customers in. All that’s left for you to do is customize it with your choice of features and set it off on the right track. Enjoy your journey! Get your pick from dozens of templates and find the one that fits your client’s needs. It includes easy to use functions, multiple customization possibilities, annexed installation and setup instructions. Take your conversion rate to the next level and forget all about browsing limits: anything goes in terms of accessibility. Integrate video into a flawless user experience to enhance interactivity and keep away from static, repetitive images. Parallax will draw customers in every single time, so make sure your site is the image of perfection with the right Business tools. Completely responsive and adaptable, the theme is guaranteed to boost conversions every single time. The integrated Moto Press Slider lets you craft pages and create clean, spacious slides of text with transition effects. Need more reasons to choose it? The background video might be reason enough: it’ll take the visual experience to a whole new level, boosting creativity and showcasing each one of your products and their features. For the financial experts and not only, Advisto offers great support and a professional, clean aspect. Creating a simple, fast-running template has never been easier, due to the embedded Page Builder plugin. It’s also easy to customize and configure, and boasts the Drag-and-Drop page builder function, which enables anyone to easily create pages that feature more than 25 modules. Every layout can be saved in an incorporated library, to be used whenever you felt like creating a new page. Play with page structure and see what a new layout can do for your business! Choose from a vast array of modules and structure your page according to any necessity. Created with care for the financial savvy, Advisto is there to save you the trouble. No need for complicated coding skills: the over 25 modules include a multitude of presets, with the included drag-and-drop functionality. 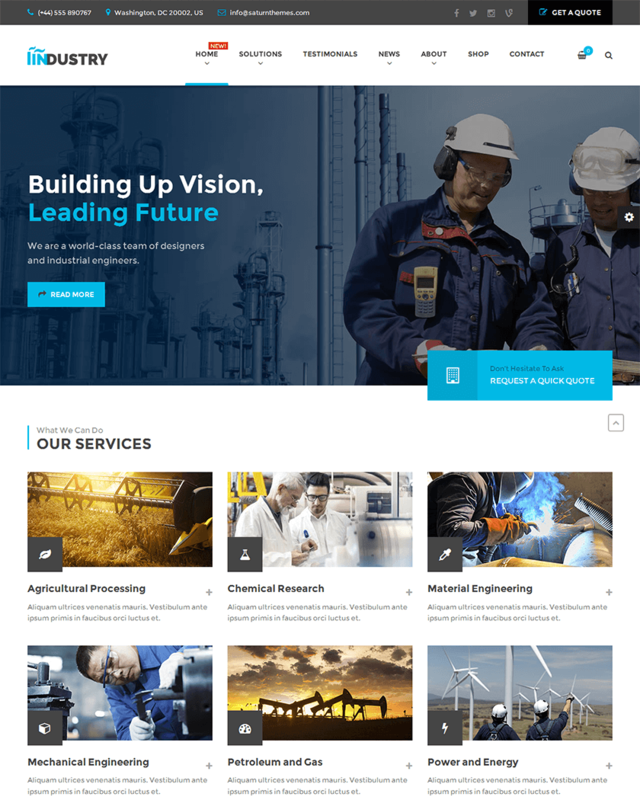 Ildy is founded on Bootstrap frontend, it’s mobile-friendly and completely responsive. Dedicated to the creatives, it can be used as a landing page, website or even portfolio showcase The option of creating the website on live preview mode offers a real-time assessment of your page, which shows maximum operational flexibility. Choose the plugin of your liking and enjoy the SEO-friendly experience: it comes with full screen background image and a smooth user experience. The theme is fully responsive and mobile friendly, allowing you to see every change you make on the page in real time. The multiple modular sections it features can be adjusted to suit every desire and personalization request. The following plugins are available: Contact Form 7, Gravity Forms, Yoast SEO, Jetpack, WP Super Cache, NextGEN Gallery. WooCommerce will soon follow, so the theme is bound to help you rank in the top Google page searches. Take your business to the next level with OnePress. 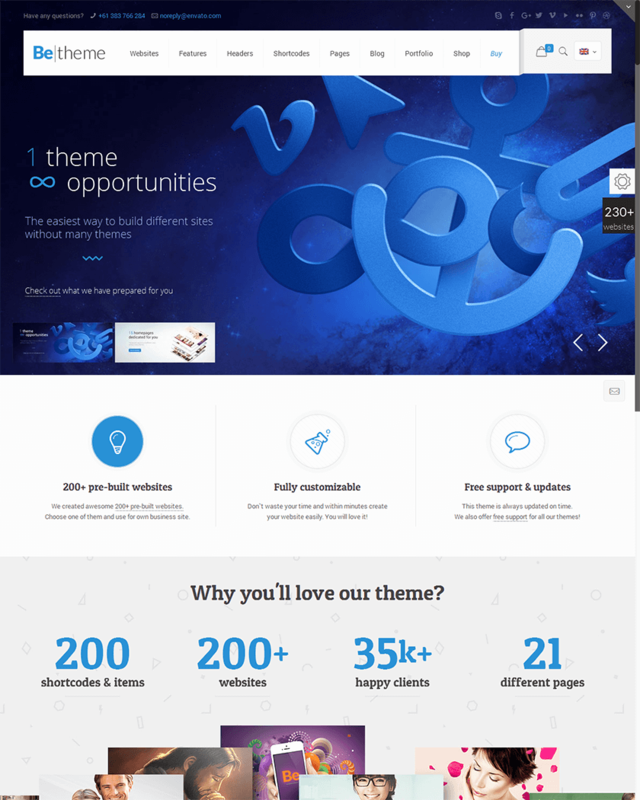 The dynamic layout and theme customizer experience will turn your page into a stunner; it runs smoothly, offers state of the art support and is compatible with every modern browser. Choose the features you wish to include and get ready to experience greatness at its best. 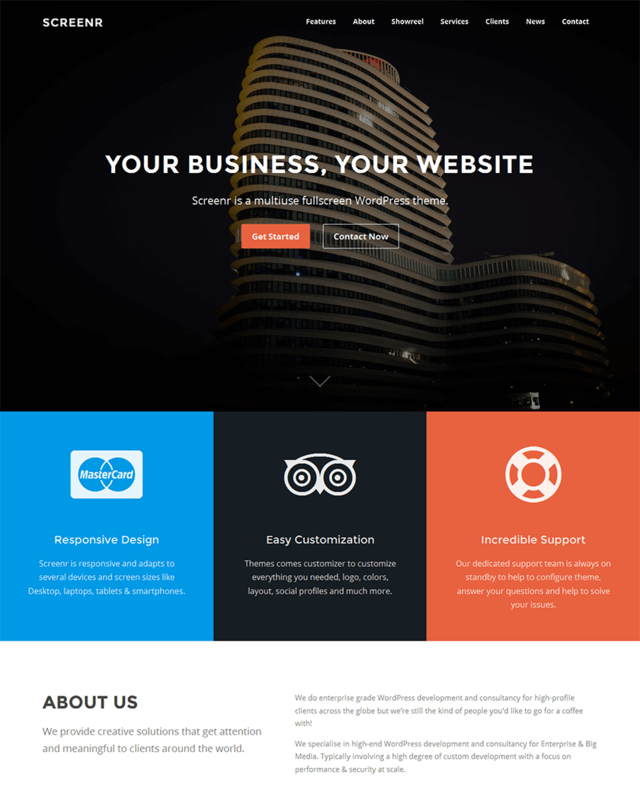 The theme is suited for most business profiles, portfolios, digital agencies and freelance websites. Among popular features we mention the theme customizer, smooth parallax effect, page speed optimizer and complete localization services. The base package features a powerful core theme, 8 flexible sections, comprehensive help guides and developer friendly capabilities. Every single option can lead you towards the page of your dreams; all you need is to figure out how to blend the integrated features into the right layout. This multipurpose layout is just what you need when design and speed are paramount. Get your calls to action, widgets or single page widgets, all in one place. The advanced typography option supports more than 600 Google fonts, which can be changed according to size. You’re a few clicks away from creating the dream online persona for your site. 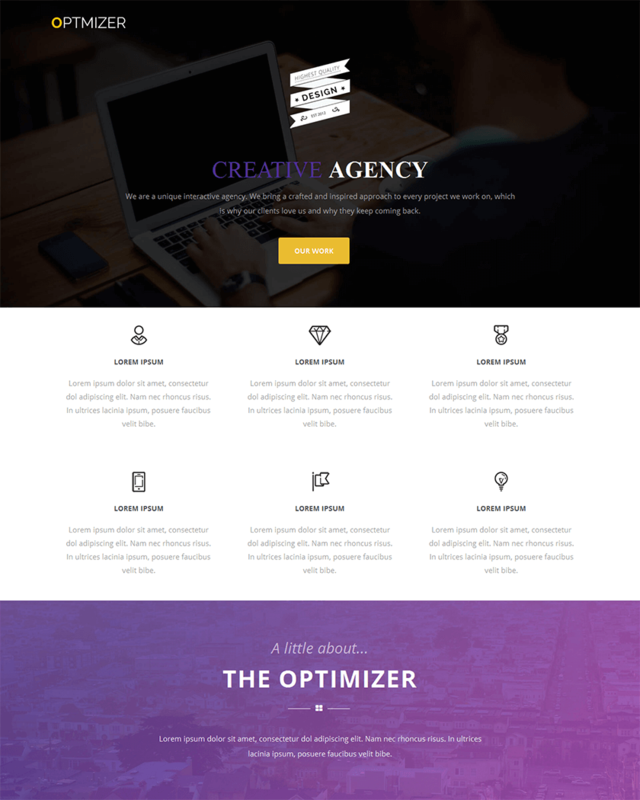 This incredibly responsive multipurpose theme is designed for any type of business, portfolio, blog or site. 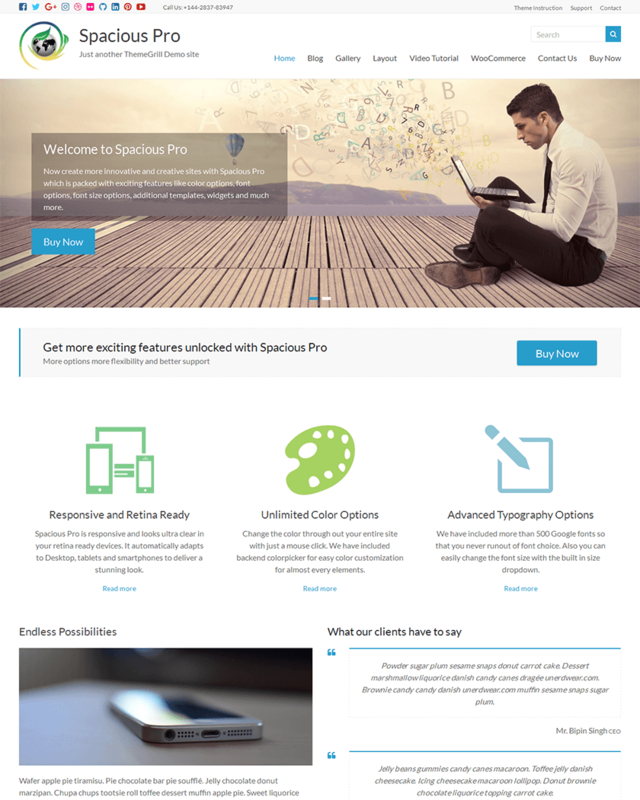 As the #1 most popular Business/Multi-Purpose WordPress theme, Spacious empowers over 80 000 sites, and the number is continually growing. Main features include Business templates, 12+ widget areas, 5+ custom widgets, call-to-action widgets and featured single page widgets. In case you’re selling products or services, you get to showcase your products in the integrated pricing table of the pricing widget. The testimonial widget gathers together every client review you choose to integrate in the site, which adds more value to your page. Meet Live Theme Options at their best: with an integrated theme support, Optimizer creates full blown websites with just a few clicks. Get your pick of templates and be the creator of your own dedicated landing pages. No need to dig deep into technicalities with this one; even a design wannabe will find the layout intuitive enough to have a go at page creation. Do you think creation takes too long? Sometimes, in only takes minutes. 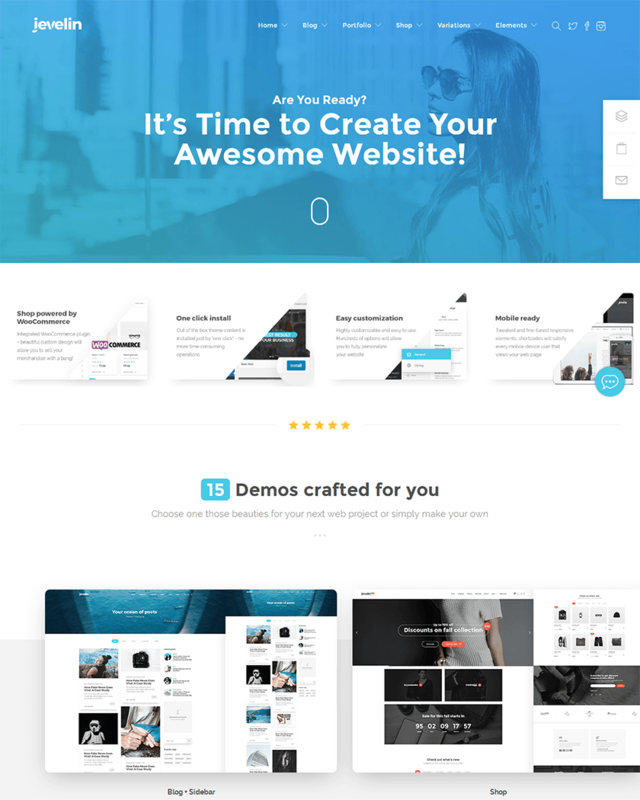 Boasting the fastest theme support system, this theme lets you create full blown websites with the drag of a button, providing dozens of free templates to choose from and prompt customer support. Building responsive WordPress websites with 0 technical expertise has never been easier: take some hours off your already-cluttered schedule to finish off your page, instead of days or even weeks. 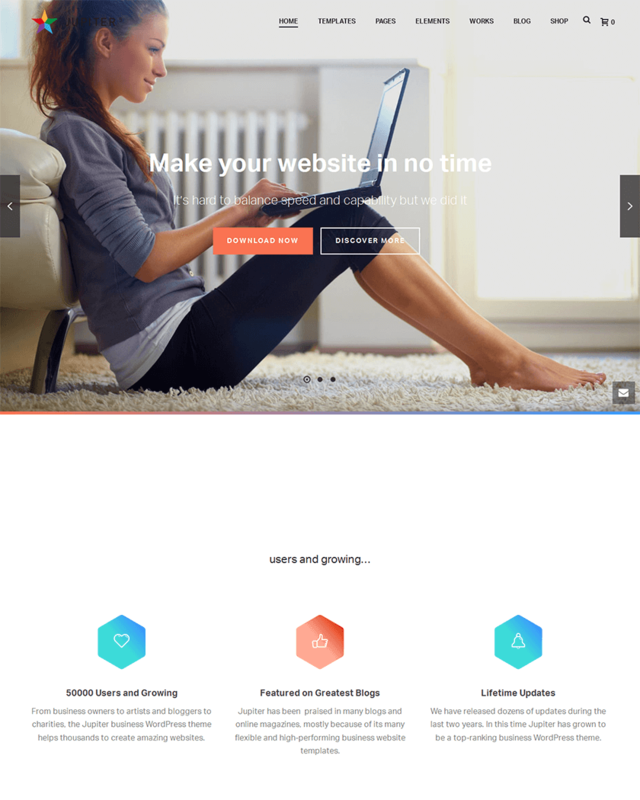 Over 230 pre-built websites to choose from are waiting for you. Mobile-friendly, of course, with an added slide menu. Get full responsiveness with a modern twist and juggle styles while sticking to ease of access. What sets it apart? Complete functionality and endless design capabilities. Creativity needs a solid foundation to fall back on, so don’t miss out on all the excellent tools this theme has to offer and the versatility it’s equipped with. 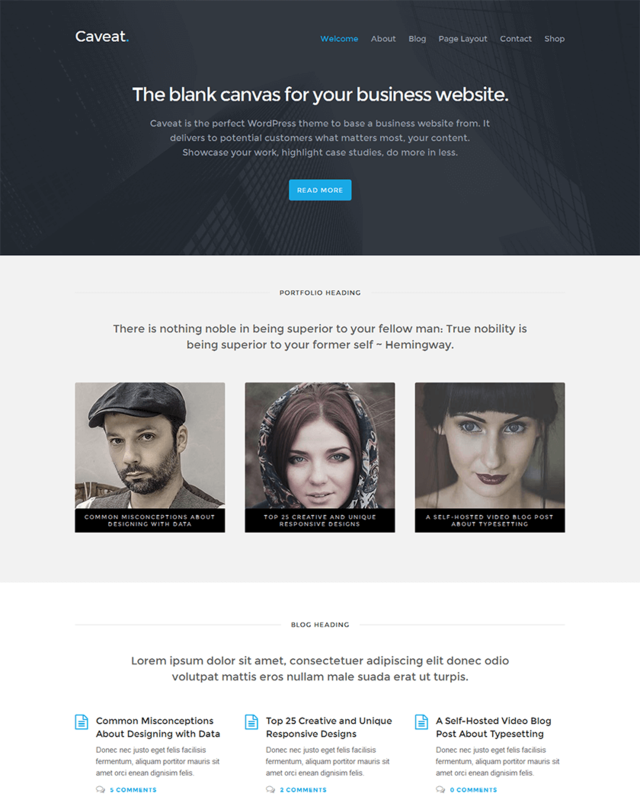 Try out 230+ pre-built websites, the new minimal mobile header and side slide menu. Top-ranking in the functionality department, Be Theme will cover almost any theme you can think of, for any chosen client project. Updates happen on a weekly basis and more than 200 short codes help you get the job done fast and fuss-free. The name is there for a reason: get all the features you want, packed in one fully customizable and responsive theme. Enjoy drag and drop creation, live features and an endless color scheme that will take your site from rags to riches in a matter of clicks. Stay on top of the latest features and updates while enjoying a commerce-ready site that makes the shopping experience all your clients have ever dreamed of. The theme really can do it all: versatile features, responsive layout, live customizations, unlimited color options, premium sliders will take your brand’s story sky-high. Easy back & front-end editing will turn your page into a responsive platform for any type of business: you get premium free plugins, payment-ready options and quick setup with demo imports. Here are the premium plugins: WooCommerce, bbPress, Contact Form 7, Event Calendar, WPML translations and W3 Total Cache. Tap into every feature and turn your page into the next goldmine for your business! It’s sleek, it’s professional, it’s versatile. You get a speedy theme, significant updates and fully-functional sites at the touch of a button. Preset layouts allow you to explore the best version for your online store, blog or any other type of online platform. Turn any online shop into a custom client experience and experience spreadable layouts in dark or light styles. The extensive documentation and around the clock support center are there to answer your every need. Make no mistake, Caveat is for the selected few. Although easy to set up, its exclusive aspect is fully compatible with niche stores, blogs or any type of selective professional website development. It’ll take you through all the web creation steps at a dynamic pace, offering your page a minimalist style that incorporates flat design techniques. Let your imagination get the best of you as you embark on the greatest of online journeys. All of your professional website development needs will be met at the exact right time with this one: featuring interesting options such as archive page templates, pre-set homepage templates and blog with or without sidebar, Caveat will help setup your site I a simple, effective way. The layout is dynamic, the color scheme bold, the portfolio section was created with one goal in mind: to stand out. Choose from various packages and get full functionality, no matter the price range. Responsive design at its best. Clean, elegant design and sleek features make Screenr the best display case for your online business. 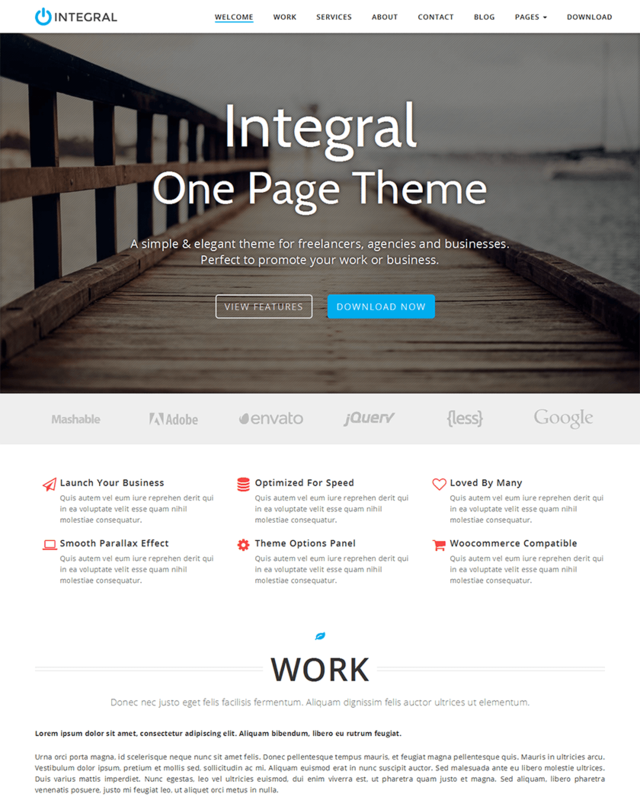 Fully stocked with every feature you could wish for, including complete localization and custom theme widgets, this theme will take your page from newbie to pro. 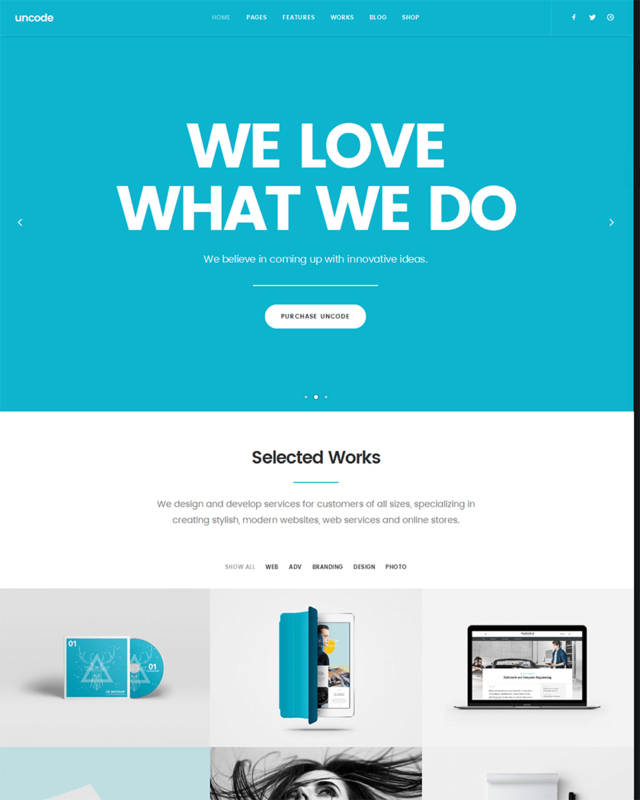 This full screen parallax theme is designed to make a statement; ideal for businesses, agencies and bloggers alike, the key to its success lies in the sleek design and uncomplicated color scheme. The custom content blocks showcase essential information about your business or company, all translation-ready. The advanced theme customizer lets you play with different tones and color schemes. Other features include complete localization, page speed optimization, high-quality support and browser compatibility. The built-in customizer lets you perform quick changes in appearance, while the custom page templates give you access to pre-made aspects and functions. Page creation with a twist. Including slider revolution, WooCommerce, mobile-optimized features and the one-click install option, Jevelin is the crown jewel of WordPress themes. Try out the unique demos that are at your disposal and browse through the video tutorial that’ll teach you everything you need to know about web customization. Top, left and right layouts are available for 9 header styles, and built-in social sharing capabilities turn this theme into the perfect social media platform. 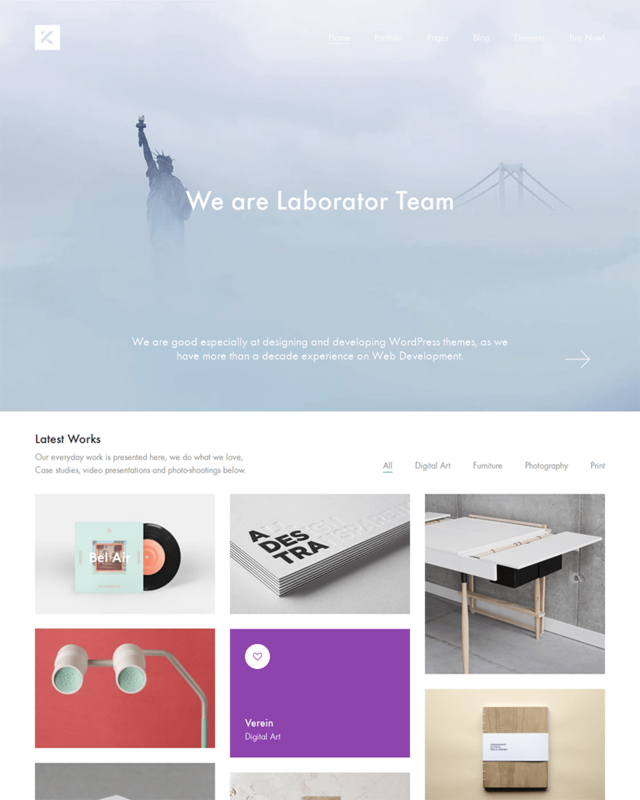 If it’s a blog you’re looking to start, over 6 blog and portfolio layouts are at your disposal. The video tutorial will take you through all the necessary steps that begins with the one click install option. Mobile-ready? Covered. Commerce ready? The same. The simple contact form is compatible with most popular form plugins, giving you the right tools to get the job done. 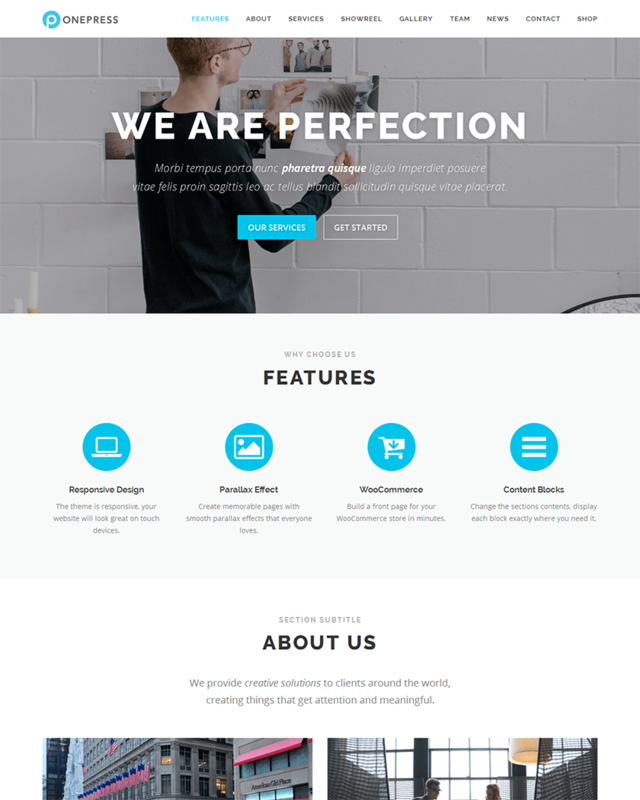 This theme is the perfect showcase for any type of content. Boasting clear lines and minimalist layout, it leaves enough space for properly displaying your content of choice in a simple, yet sophisticated fashion. Go through the extensive video tutorials and see what it has to offer: time-saving features, no coding skills required, fully supported. Read the online theme documentation and go through the support forum whenever you have a question at hand. The integrated nine builders give way to any desired customization and it includes the following features: visual composer, revolution slider, layerslider, 23+ customizable demos and the codeless slider. 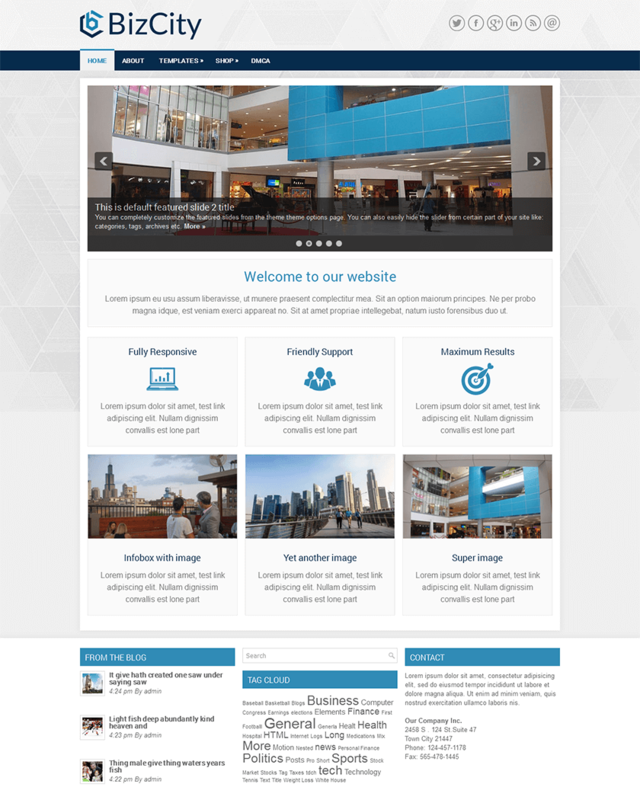 Needless to say, the theme is fully responsive, saves you a lot of time and trouble and requires no coding skills. The dedicated support team helps customers solve and customize their sites every single time. Get creative, stay professional. 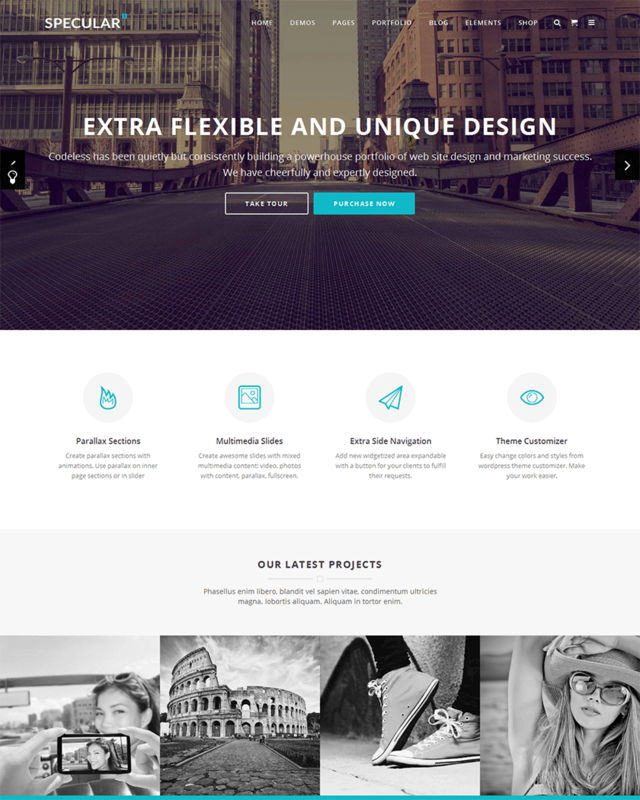 This multi-awarded theme includes Visual Composer, Revolution Slider and Layer Slider. It is WPML compatible and translation-ready, allowing you to choose one of the premade layouts and later customize your choice. Over 30 portfolio types are available, including imagery-align options, spacing and text personalization. 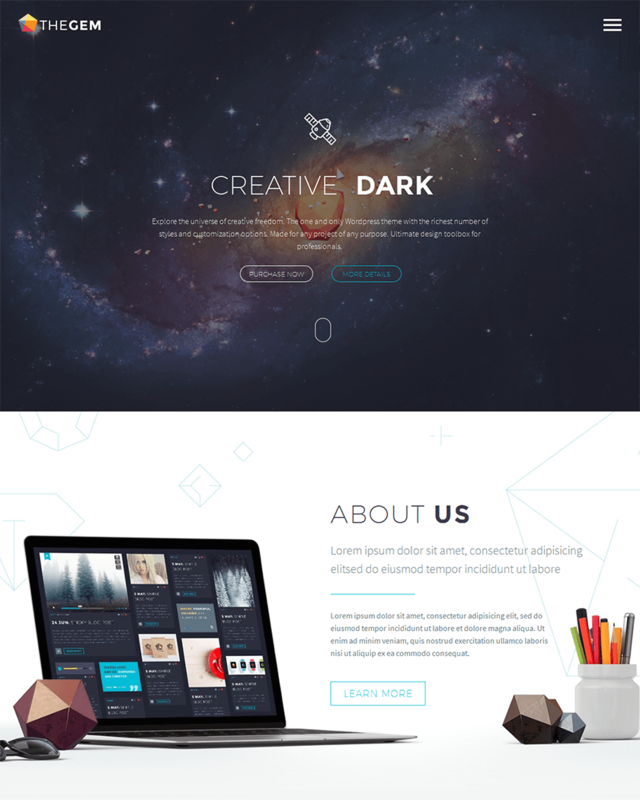 Kalium, the creative theme for professionals, takes your site through boundless capabilities. WooCommerce ready and WordPress 4.7 compatible, Kalium allows multiple uses and a faster, improved online experience. Get a lifetime’s worth of free updates and manage library fonts with whimsical typography options. You’ll also be getting full RTL support for languages like Arabic, Hebrew and Persian. Automatic updates are here to make your life easier and online experience smoother: never worry about missing out on the latest version again! The name says it all: designed for the business savvy, Industry is best suited for the following business profiles: business, factory, construction, transport and finance. The extremely flexible layout and drag&drop page builder connect every responsive element and bring them together under the same reign, where class meets functionality. This is a theme suited for industrial profiles, including constructions, transport and finance. 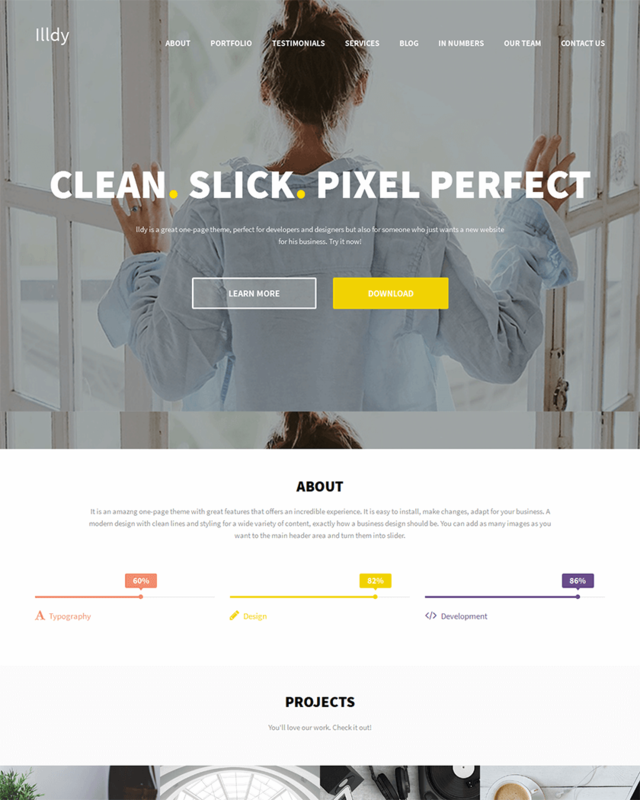 The design is clean, responsive and flexible: the drag&drop page builder creates unlimited layouts, in multiple color schemes. Choose from 6 different page layouts and take a look at retina-ready schemes for your online profile. No need for codes: just use drag&drop to build flexible page structures as well as the one-click demo importer, which is ideal for beginners: along with content, it imports theme settings into your site. The platform is WPML and translation ready, as well as WooCommerce dedicated. 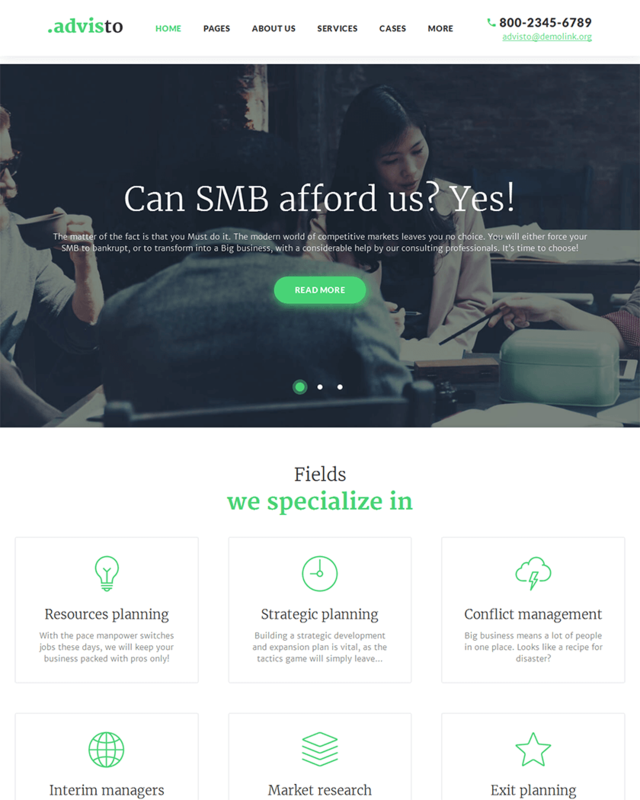 This dedicated business, finance and WordPress theme displays 18 custom demo layouts for the selected professionals who put a price on human interaction above all else. 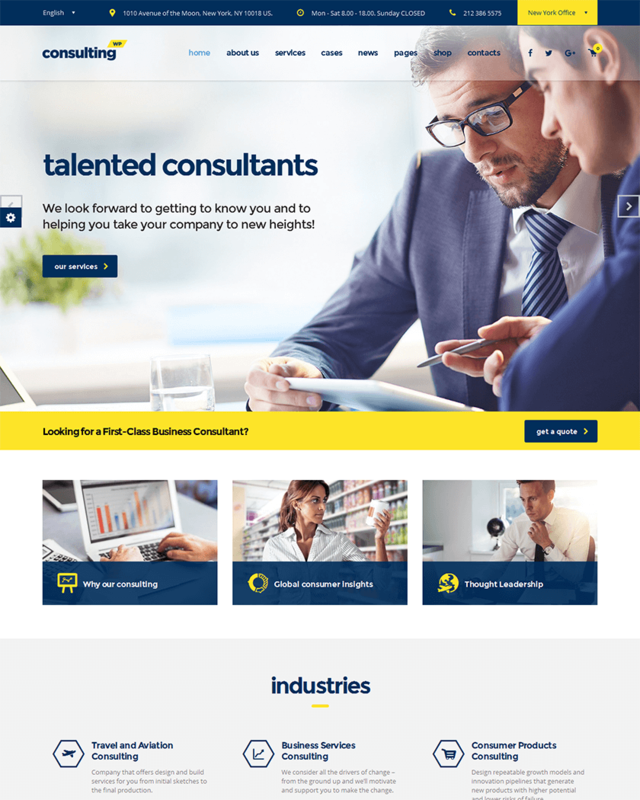 Take your business consultancy to the next level and easily create your page design and content with the help of included features. 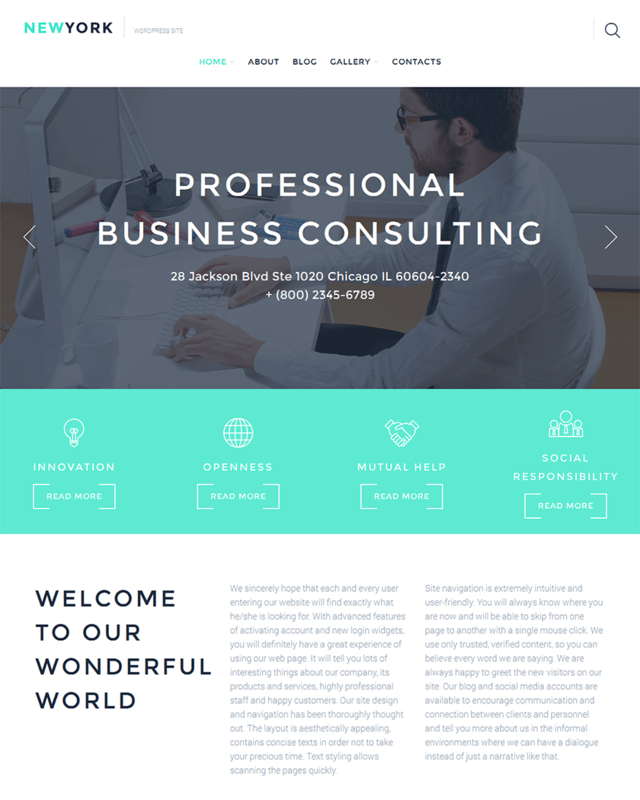 Color schemes and various header layouts help turn this theme into any professional’s haven. What does it include? 18 custom demo layouts, easily editable content capabilities, drag&drop page builder and endless color options. Multi-location services on Google Maps will get your business recognized across borders, while retina-ready layouts take it from desktop to mobile, while maintaining quality standards and page load speed. The real-time WP customizer will give a new feel to the whole platform, allowing you to see the changes immediately, before the actual on-site implementation. SEO optimization guarantees a high rank in Google search bar, and the translation-ready option will send your content to all the right people, no matter their language. I have a eCommerce site which is suitable for me?